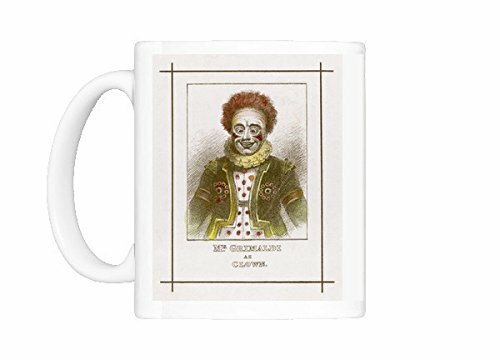 Joseph Grimaldi was Britain's greatest clown. He introduced the idea of the pantomime dame , the concept of the tragi-comic clown and encouraged audience participation. Here in the UK the pantomime season is upon us in all its gaudy glory. This tradition comes straight from music hall, and one of the most enjoyable aspects of going to a pantomime is to see men dressed as outrageous, over-the-top women, known as 'pantomime dames'. 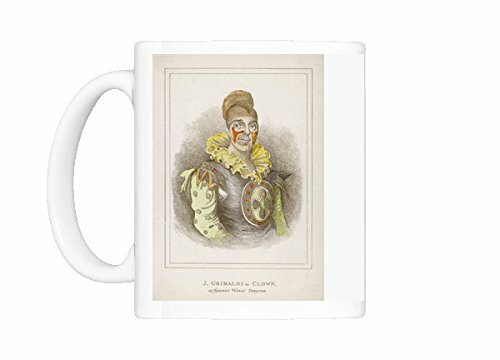 The tradition of the pantomime dame began with the great clown, Joseph Grimaldi. His story is a fascinating one of hardship, fame and eventual poverty. It is a tale that has an almost Dickensian narrative. 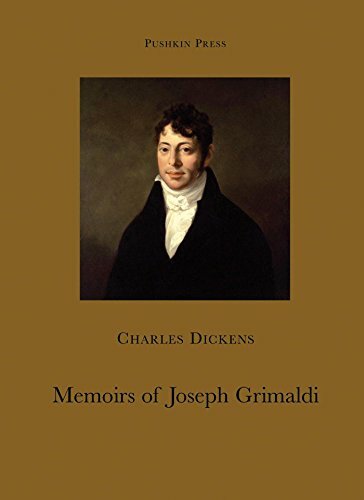 Joseph Grimaldi was born in 1779 in London to Italian immigrant parents. His show-business pedigree was long, his ancestors having worked the fairs and circuses of Europe. His father was ballet-master at the Theatre Royal Drury Lane and his mother was in the corps de ballet. His father was strict and Grimaldi suffered severe beatings as a child. His life on stage began at the age of two when he trod the boards of the Drury Lane and Sadlers Wells theatres. Sometimes he worked both theatres on the same evening, running from one to the other. 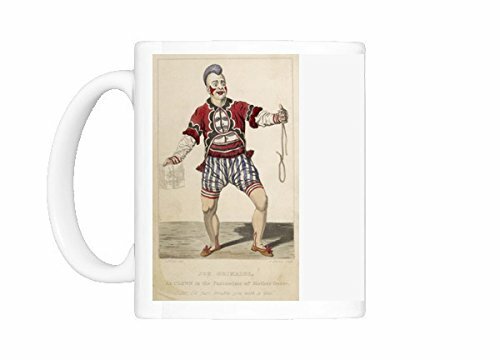 As he grew older, Grimaldi became a regular feature of the Drury Lane and Sadler Wells theatres, but his greatest triumphs were at Covent Garden. His 1806 debut in Harlequin and Mother Goose; or the Golden Egg ran for ninety-two nights with takings of over £20,000. Around 1803 Joseph Grimaldi created the figure of “Joey”. According to his biographer, Andrew McConnell Stott in The Pantomime Life of Joseph Grimaldi, Grimaldi worked intensively for days to perfect the look ‘until finally a face emerged from the candlelight that bore a grin so incendiary it refused to be erased’. The impact of “Joey” and the white-face make-up that Grimaldi also invented was immediate. Ever since then, these types of clowns have been known as “Joey”. What Made Joseph Grimaldi Unique? Grimaldi was a great acrobat, yet this physicality was taken to unique heights of comic genius by his ability to combine it with the invention of comic characters. He would lampoon well-known figures of the day, mimicking their weaknesses, to the joy of the audience. 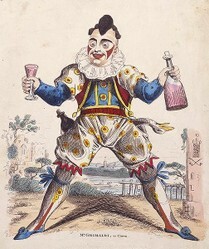 Grimaldi made the clown central to the narrative, exchanging banter with the audience, involving them in his trickery and verbal japes. He brought pathos to the world of clowning. The concept of the comic mask that hides a tragic soul was his innovation. By dressing up as a woman, Grimaldi laid the foundations for the idea of the pantomime dame. In the show Harlequin and the Red Dwarf, Grimaldi dressed up as Queen Ronabellyana and again as the Baroness in Harlequin and Cinderella. Grimaldi’s innovative ideas may seem familiar to us today, but at the time they were unique. Taking a cartload of fruit, vegetables and everyday objects , Grimaldi, would deftly arrange them into comic sculptures of upper class figures. He was known to manipulate a coal scuttle, a muff and a coat to become recognisable as the Prince Regent. The late actor Ken Campbell did the same thing in his stage shows, creating a statue of the scientist, Stephen Hawking. "A little old woman, her living she got by selling hot codlins, hot, hot, hot. / And this little old woman, who codlins sold, tho' her codlins were hot,she felt herself cold. / So to keep herself warm she thought it no sin to fetch for herself a quartern of .......". As Grimaldi paused the audience would gleefully yell, “Gin!”. Grimaldi would look at them with mock disgust and cry, “Oh! For shame!”. Grimaldi would bring tears to his audience’s eyes by telling the tale of a man who went to see his doctor because he was feeling so sad. The doctor said, “You should go to see a performance by the great clown, Grimaldi. That will cheer you up”, to which the response was, “But doctor, I am Grimaldi”. Grimaldi understood tragedy. His first wife died after only eighteen months of marriage. His son from his second marriage was an alcoholic and died at an early age. Grimaldi retired in 1823, physically and mentally exhausted. He was virtually crippled and in his last years would spend his evenings quietly in The Marquis of Cornwallis pub in Pentonville. He never lost his popularity and is a legend in the theatrical world. In fact, he is said to be one of the ghosts of London's Theatre Royal, Drury Lane. Every year on the first Sunday in February a memorial service is held for Grimaldi in Holy Trinity Church, Dalston, London. You can read about it here. 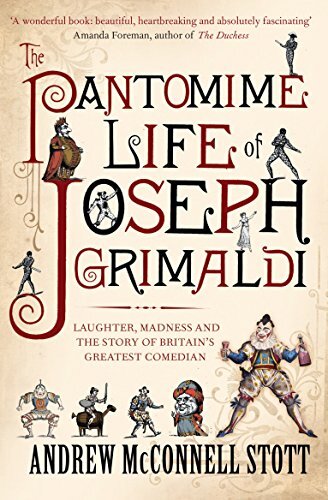 The Pantomime Life of Joseph Grimaldi by Andrew McConnell Stott (Canongate Books, 2009) cited by Jenny Uglow in "The Pantomime Life of Joseph Grimaldi by Andrew McConnell Stott" Guardian, 1st November 2009. What a super talented individual. I'm glad you shared his story and I'm going to re-share it in my circles. Hello jptanabe - Yes, his life was tough and he gave so much to the public! Thanks for sharing Grimaldi's life. I didn't realize how much tragedy he suffered. Hello Abby, Yes, he was beloved by rich and poor alike! Grimaldi was an interesting man. He must have been very popular to have had Dickens edit his memoirs. The Cinema Museum in south London pays homage to the golden era of cinema-going. It is a vibrant, living testimony to the great age of cinema.